Zesty high notes of lemongrass and citrus infused with a tingle of ginger, this little number tastes mouth-watering delicious, and will refresh any palate. For Hot Tea: Place one tea bag in your favourite cup. Add 200ml of freshly boiled water and allow the tea to infuse, leaving for 2-3 minutes. Add sugar as desired. Sit down and relax with your aromatic infusion. For Iced Tea to make One Litre: Brew 6 tea bags in freshly boiled water (500ml/one US pint). Allow to infuse for 2-3 minutes. Refrigerate or serve over ice. Add sugar as desired, and enjoy! 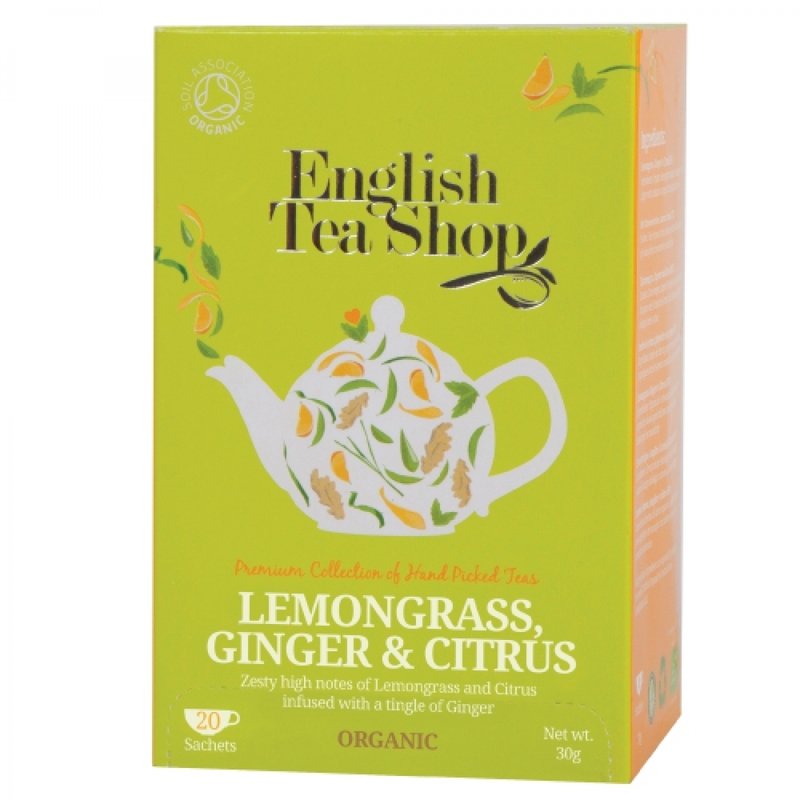 English Tea Shop love tea, and want to spread that love, which is why they have made it their life long mission to deliver the best possible cuppa to the Nation and beyond. They source only the finest, tastiest ingredients, dealing directly with farmers and producers from all over the world. They have some of the most experienced tea blenders, formulators and tasters in the industry, and to boot, their manufacturing facility is in the heart of Sri Lanka, meaning they can rely upon tried and tested tea techniques, along with a few modern processes, to deliver truly delicious, sustainable, yet economical solutions. No nasties, no chemicals - just the indulgence of natural, organic taste bud tingling tea!